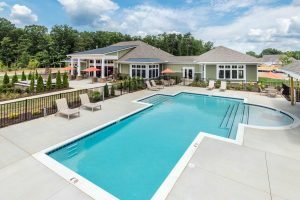 Since its founding, Cornerstone Homes has been solely focused on building homes and communities dedicated to the wellness, connection, and lifestyle of people 55+. We understand that physical activity and exercise can have immediate and long-term health benefits and that regular activity can improve your quality of life in many ways. 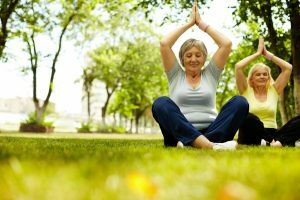 Not only do our communities foster connecting and having fun with your neighbors, but they also offer numerous ways to stay active. This includes walkable communities with lighted sidewalks, trails through natural areas, an outdoor pool, and well-equipped Fitness Centers located in our Clubhouses. Cornerstone Homes is excited to introduce you to Lori Dietz, our fitness partner at Barley Woods in Fredericksburg! Lori, a certified ACSM personal trainer and aging specialist, is the owner of RUHIP, LLC. She is also a water aerobics and diabetes prevention instructor. Lori is a perfect fit to enhance the lifestyle and fitness of our homeowners at Barley Woods. When Lori reached 50, she realized that exercising, staying fit, and doing everyday tasks “just wasn’t as easy as it used to be.” Because her passion had always been educating people about how to exercise and stay healthy, she asked herself: why not pursue this further by reaching those my age? From her extensive educational background in health and wellness, and her love of helping others, she created RUHIP, LLC, a specialized Health Improvement Program for men and women over 50, working with those rehabilitating from injuries and surgeries, and those who simply want a better quality of life. Out of this incredible organization, the Functionality of Getting Older was born! 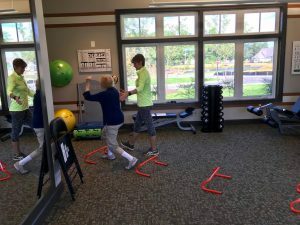 FOGO is a program that teaches multidimensional exercises designed to improve important everyday functions, including balance, coordination, strength, and cognition. Not to mention, they’re fun to do. At Cornerstone Homes, Lori offers a free monthly orientation of the exercise room and its equipment, teaches the FOGO program, and trains residents one-on-one. Next summer, she’ll offer a water aerobics class in the outdoor pool! 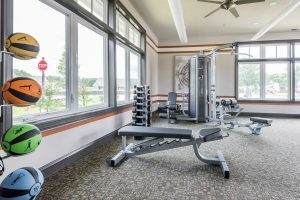 Aside from the many ways to stay fit in a Cornerstone Homes community, from walking trails to nearby parks, our spacious and friendly fitness centers put the “active” in an active adult community. Staying fit promotes a high quality of life and gives you more freedom of movement. 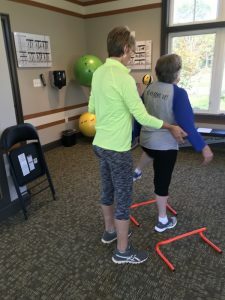 Lori’s motto is: “To move is to live, to live is to move.” When you understand the physical aging process — what’s normal, what will change, and how to “move” through it — you can take on this new chapter of your life with the greatest strength. Lori’s advice? It’s never too late to move. Whether you’re walking along one of our scenic trails, hanging out at the Corner Patch Gardens, swimming in a clubhouse pool, taking a fun class with a friend in the group fitness center, or picking vegetables in your community garden, you’ll love the many activities here that get you moving. This season, let’s stay fit!